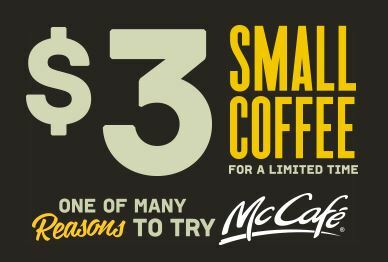 For a limited time only, McDonald’s are offering $3 Small McCafe Coffees! It’s available for a limited time only. If you’ve triedMcCafe coffee, let us know what you think in the comments.